Changing your spark plugs is a necessary part of scheduled maintenance for every vehicle, but this simple replacement can do much more than just extend the life of your car or truck. Below are five quick reasons or benefits to consider when deciding if you want to upgrade your spark plugs. Limit your maintenance time. Changing plugs on most newer cars can be a difficult task, especially in V6 engine configurations. 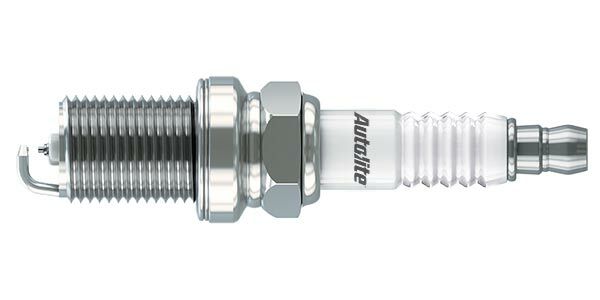 Limit the amount of time spent changing your plugs by swapping from a copper core plug to a platinum spark plug. These plugs increase your change interval to 60k miles. Better yet, upgrade to a Double Platinum or Iridium Spark Plug to increase your change interval to 100k miles. Increase your performance. Iridium plugs take less voltage to fire which results in more coil dwell time. That translates to better combustion, lower emissions, better fuel economy and more horsepower. Lower your costs. It’s true – buying an upgraded plug does cost more than a basic spark plug. Iridium plugs cost on average $3-$4 more per plug, which only costs you $16-$32 more for your entire engine. By spending a little more up front, you are able to extend your spark plug change interval, saving you on costly maintenance charges over time. Starting your car in the winter. Winter starts can seriously decrease your car’s performance, and also run the risk of spark plug fouling. Upgrading your spark plugs to a Iridium finewire plug will provide instant starts in cold weather and help eliminate the risk of fouling. Using your Warranty. Premium spark plugs may come with extended or lifetime warranties, meaning that when your spark plugs need replaced, you don’t need to worry about buying another set for that particular car again. Consulting with your car manufacturer’s spark plug specifications is necessary when choosing the right plugs for your vehicle.